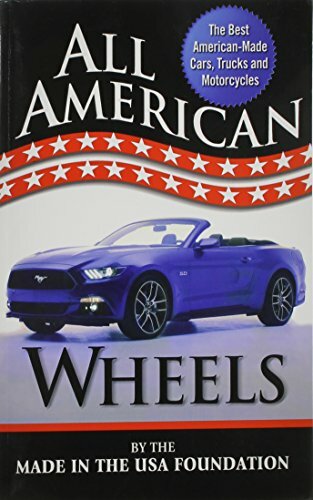 American-made automobiles and motorcycles have come a long way in the past twenty years. According to JD Power and Consumer Reports, U.S.-made cars are equal to or superior to cars made in Europe and Japan. Now we have cars that compete head-to-head with Mercedes, BMW, Audi and Lexus. The new Tesla S is one of the highest-rated cars in the world and is taking market share from the luxury German carmakers. The Cadillac ATS and CTS are state-of-the-art as well, competing with the European and Japanese luxury cars. For the first time American economy cars are taking market share as well. The Ford Focus and the Chevy Cruze are selling well all over the world. The Dodge Dart is a world-class economy car with sports car handling. The Ford C-MAX, a very fuel-efficient hybrid, is taking market share from the Toyota Prius. BMW, Mercedes, Volkswagen, Subaru, Hyundai and Kia are assembling cars in the United States. Toyota and Honda manufacture cars in America with as many U.S. parts as GM and Ford. With the wide variety of high-quality cars made and assembled in the United States, there is no need to import cars from Europe and Asia. This guide includes a notation where cars are made by union workers. American motorcycles are making a comeback too. In addition to Harley Davidson, Darwin, Indian, Janus and Victory motorcycles are roaring back. And last but not least is the newcomer, Zero Motorcyles, a manufacturer of electric motorcycles that are quiet, efficient and beautiful.